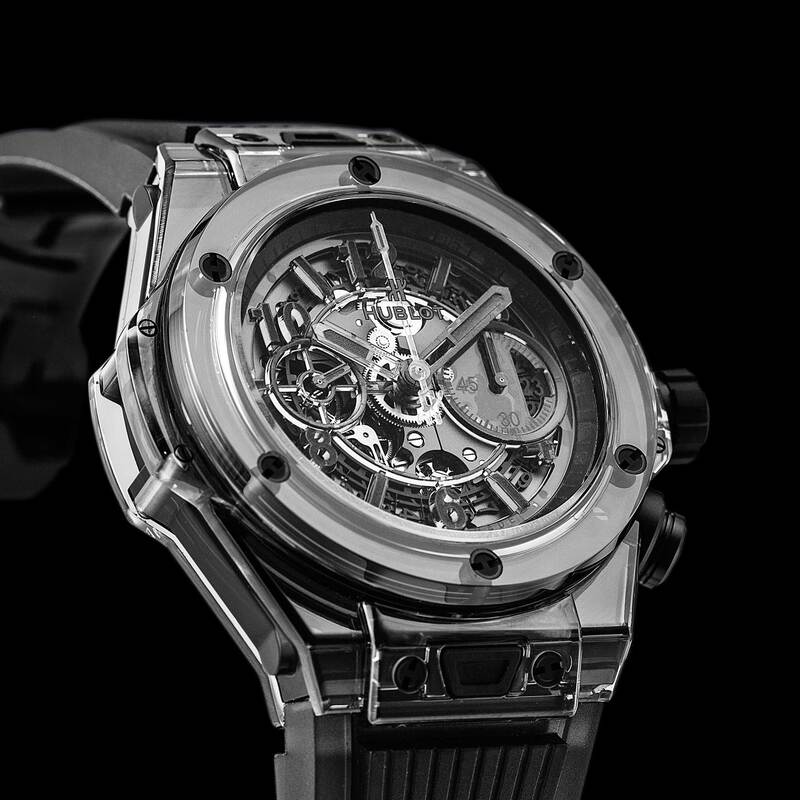 As far back as 10 years ago, way before the present-day ignition of ceramic, PVD and DLC watches in the market, Hublot took a quantum leap and created the first completely black watch. This was the genius of Jean-Claude Biver who, inspired by Carlo Cerlatti a jeweler from Monaco, toyed with the possibility of a timepiece that would essentially make time disappear. With an all-black ceramic case as its foundation and then going beyond in making everything else black from the dial to the hands and markers, the aesthetic result was a watch that was altogether unsettling and dazzling. Its sharp material clarity demonstrated the philosophy of ‘visible invisibility’ and that black, in fact, wasn’t all that black at all. 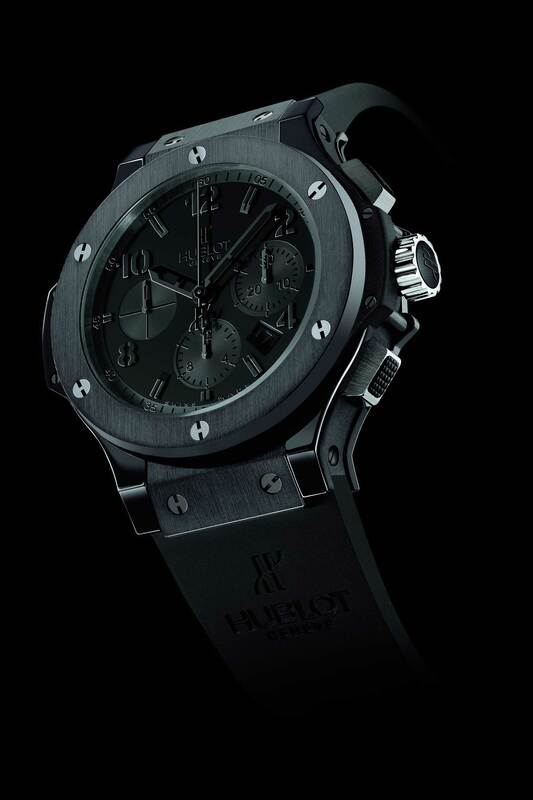 No doubt, the success of the Hublot Big Bang All-Black was due to the epiphany of its context. The watch entered the market in a time when the left field of watchmaking was underserved. At the same time, black cases were achieved by simply black-coating stainless steel but Biver instead, opted for ceramic which is virtually wear-resistant and moreover, black — through and through. 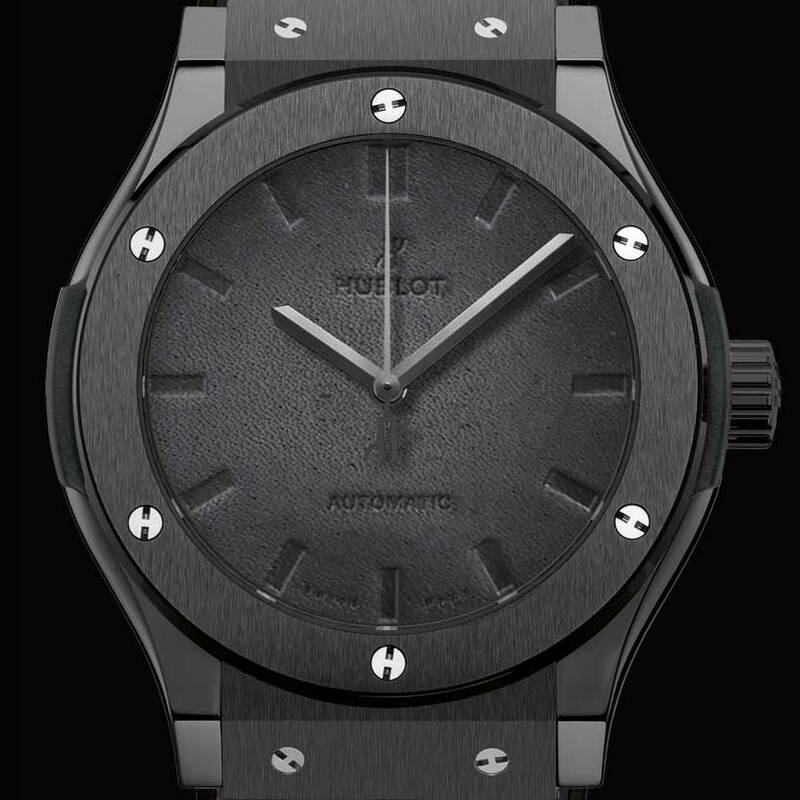 Since then, Hublot has released swaggering reference after swaggering reference of all-black timepieces. Without further ado, here are our top five picks from the iconic line. 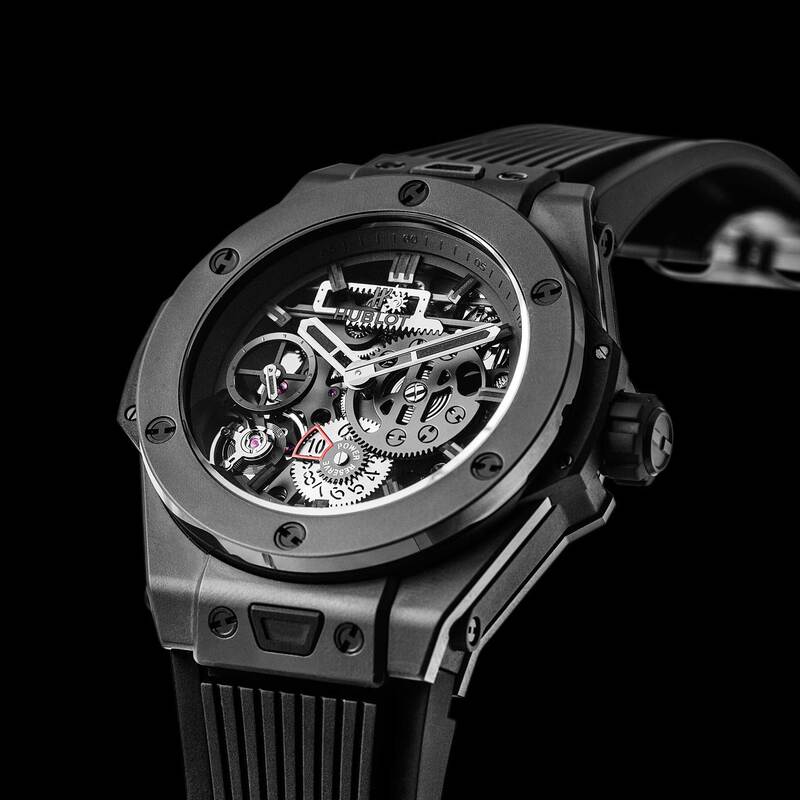 There is indeed no better tribute to what Hublot has accomplished in the past 10 years than the impossibly arresting Big Bang Unico Sapphire All-Black. When the brand launched the white all-sapphire Big Bang Unico in January, it was the first time the material had been cut on such a scale. The All-Black version is once again an exercise in ‘visible invisibility’ where its black exterior doesn’t absorb light but instead allows light through. 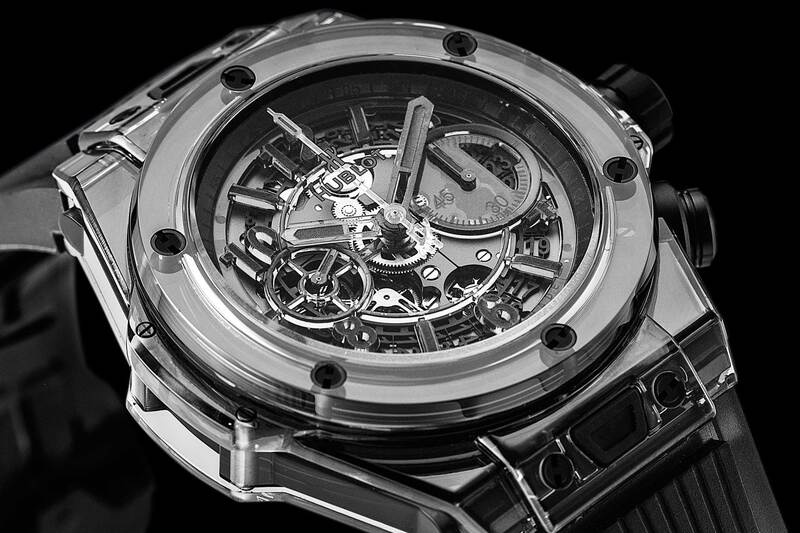 And doing so, the case provides a skeletonized view of as much of its movement architecture as possible. The watch is crafted from blocks of sapphire crystal that has been coated with metal resulting in a black-tinted surface. It doesn’t get any better than this: a 13.6mm wide tourbillon that could very well go without a loupe, a practical power reserve indicator and an impressive skeletonized movement. 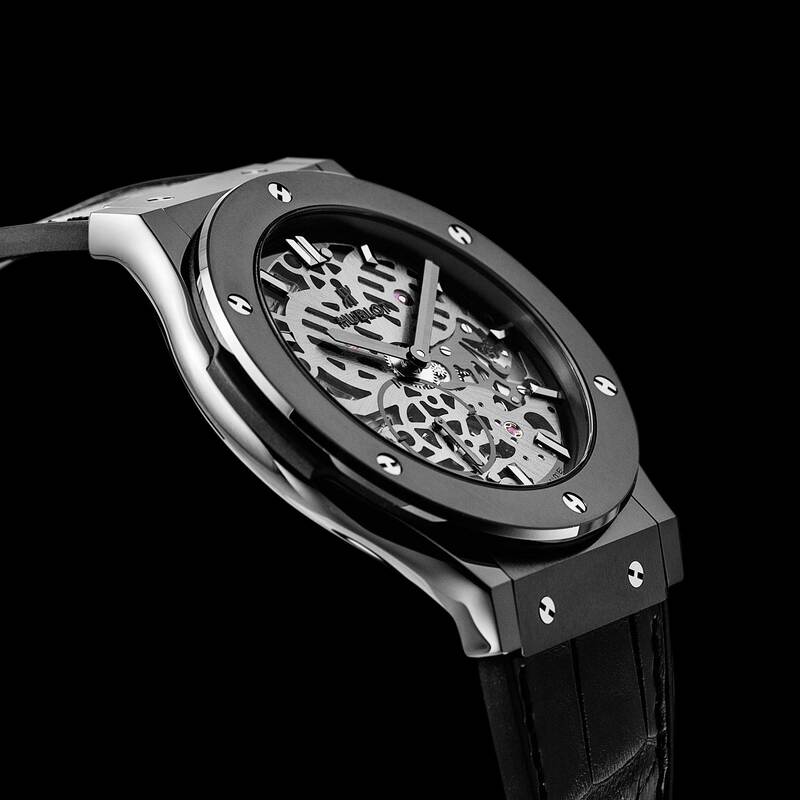 The show-stopping Big Bang Tourbillon 5-Day Power Reserve Indicator All Black is equipped with the in-house cal. HUB6016 which features a unique barette-shaped tourbillon bridge to ensure its stability. And extremely useful for a hand-wound movement, it also features a particularly prominent power reserve indicator — visible on the dial side at 9 o’clock. The Meca-10 hosts the new 223-component HUB1201 movement with ultra-stylized industrial mechanics, inspired by the Meccano construction system. A solid powerhouse, the manual-winding caliber offers 10 days of constant force and serves as a reminder of the connection between man and his machine. It is fitted with twin parallel barrels that are linked to a rack-driven pair of power-reserve indicators. A crown gear marked from 0 to 10 at six o’clock indicates the remaining days of power reserve while a skeletonized plate at three o’clock indicates in red when there are only two days of power left. Launched in collaboration with legendary shoemaker Berluti, this Classic Fusion number is in fact the very first watch to premier a leather dial. Its satin-finished ceramic bezel is nicely contrasted against its gleaming ceramic case, while its dial and strap are made of the shoemaker’s hallowed black nero grigio Venezia leather. The dial is signed by Berluti, while the strap features the signature “Gaspard” incision, a fold in the leather secured by a single stitch. The watch is powered by the self-winding cal. 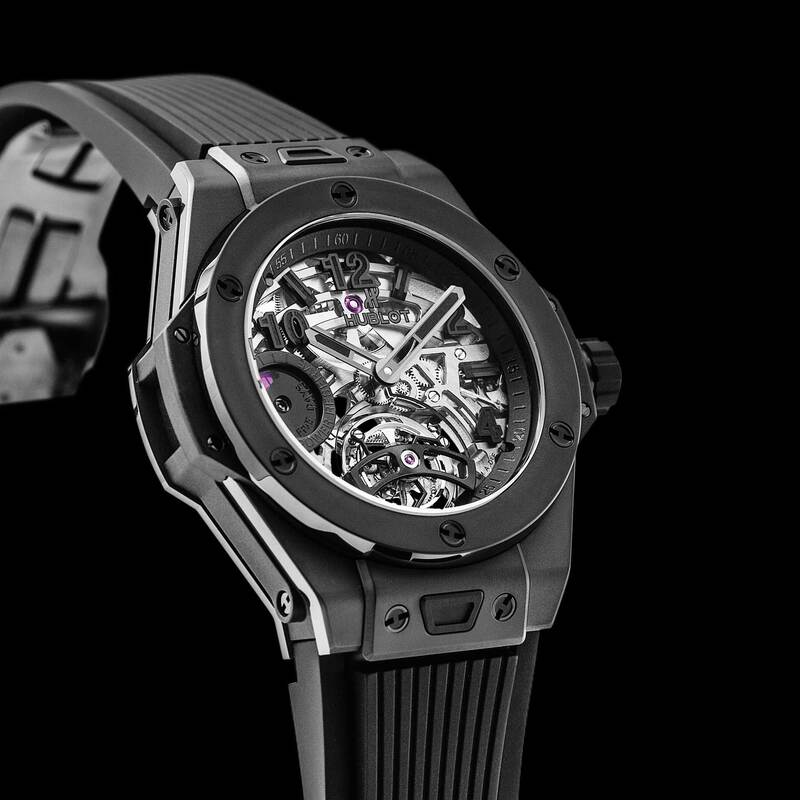 HUB1100 movement, offering a power reserve of 42 hours and comes in a limited edition of 500 pieces. Available in both 42mm and 45mm, the Classic Fusion Ultra-Thin Skeleton features the beautifully styled manual-winding HUB1300.4 caliber which measures an impressive girth of 2.9mm. It provides a power reserve of 90 hours and is made up of 130 components unencumbered for your viewing pleasure. Despite its ultra-contemporary appearance, it is, however, worth noting that the small-seconds subdial at seven o’clock and the hands are redolent of some of the very first Hublot timepieces.